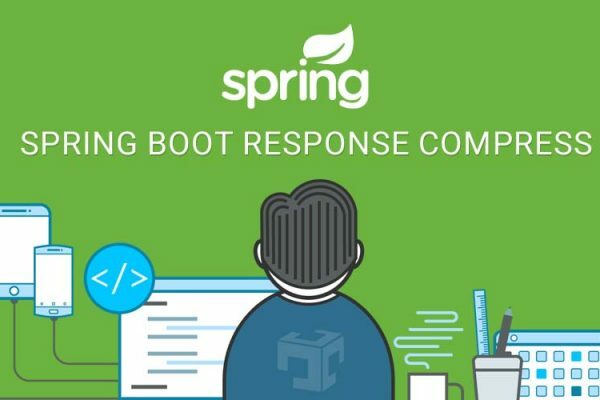 In this article, we are going to cover Spring boot flyway example. 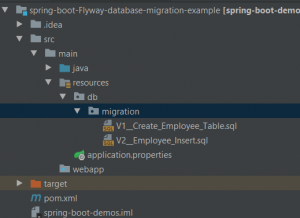 flyway is a very easy and popular database migration tool. While rapid application development database schema may change based our requirements like adding new tables, modification in an existing table, modifying some data and so many other things that we need to update in the database while upgrading application. We should not like to update database changes manually in production or staging server. So here we will see how to configure flyway with spring boot. In this example our database is empty (no any table available in the database while configuring flyway first time). Once the migration has been run on the server, .sql file’s content cannot be changed. In the database, flyway will automatically create a table with name flyway_schema_history where all script’s history will be stored. This table is flyway internal use only. Here is useful properties of flyway migration based on our custom requirements we can change those. flyway-core dependency for flyway migration. spring.datasource. * is a database configuration properties. flyway.url, flyway.user, flyway.password are optional. 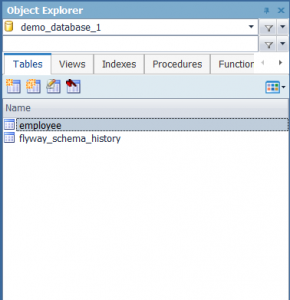 If we have a separate user for database migration then we can specify using those properties. flyway automatically find the default data source when we will not specify flyway.url, flyway.user, flyway.password. Using flyway.enabled property we can enable or disable flyway migration. The first time, It will create flyway_schema_history table in the database, flyway_schema_history used by flyway internally manage script migration. In this article, we learned about how to configure flyway migration tool with spring boot and perform automatically database migration in spring boot application.